Whether you’re cleaning out your garage or sprucing up your lawn, the April Ace rebates have you covered. 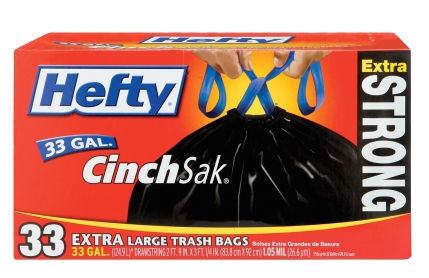 Get a $2 mail-in rebate on select boxes of Hefty CinchSak trash bags. You can claim this rebate three times per household. Get $1 back by mail on select Duracell Alkaline batteries. This rebate can be claimed twice per household. Get a $4 mail-in rebate when you buy Osmocote Potting Soil (1.5 cu. ft). Get a $2 mail-in rebate when you buy Osmocote Planting Soil (1 cu. ft.). Save $20 on Ace Green Turf four-step system after mail-in rebate. Save $10 after rebate on Hose Flexogen (5/8″X100′ size). Get a $4 mail-in rebate when you buy Miracle Gro All Purpose Shake ‘n Feed (4.5 lb.). Your purchases must be made between March 31, 2013 and April 30, 2013, to qualify. Members of Ace Rewards can submit their rebate claims online and save on postage.